Touch Mobile introduced their latest promo called rewards points where you can earn corresponding points on every reload using your TM SIM. This Astig Rewards is available to all their prepaid subscribers nationwide, there is no membership and registration needed as long as you’re using their network SIM. You can earn points on every reload or by sharing. Sharing is open to TM and Globe subscribers where you need only P1 charge for every successful points sharing transaction. If you’re familiar with Globe Rewards, this works almost the same to that from how to redeem items, balance points, share, list of store partners and more. How to REDEEM items using your points? If you already earned more points, you can now check all available items you can redeem. For as many as five (5) points, you can have a redeemable item which the SULITXT5. How to Share TM Astig Rewards Points? 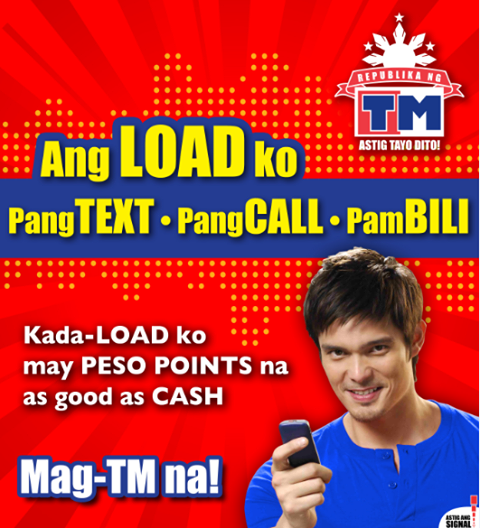 Check out the updated list of TM Rewards for call, text and surf plus the needed points to redeem. Sharing is another way of earning point where a TM subscriber is allowed to share their earned points from their number and pass it to another number. You can also set password when sharing points for security purposes. P1 per successful transaction made. How to balance inquiry or check your TM Astig rewards? Checking you remaining or earned points using your Touch Mobile SIM is the same Globe how to Check Rewards Balance procedure. Aside from the steps on how to check points, you also receive an automatic message from 4438 stating your current points after you reload you SIM. How to know all the list of ITEM and rewards code? That’s all guys, to those who don’t want to receive notifications from 4438 just text STOP to 4438. For other update about Touch Mobile rewards, you can visit Republika ng TM website and social media pages. I have 60 points but cant even use it. Been trying to redeem almost everyday but it always reply with "Sorry, hindi pa pwedeng maprocess ang request mo.please try again later." HELLO!i have been trying every hour for almost a month..did'nt succeed even once! then your always reminding that my points will be expiring on march 31???? ?its a joke!i cant even share my points!